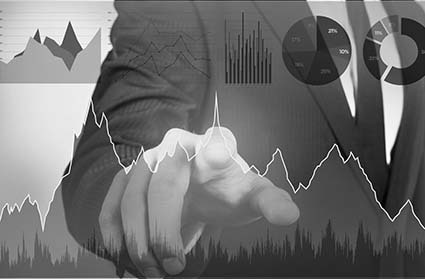 Market Equations provides Statistical Data Analytics solutions to companies worldwide aimed at providing and promoting a Fact based decision making culture in all organizations. We collect, analyze and interpret data to uncover interdependencies and hidden truths through an integrated process. Simply put we deliver Actionable Intelligence. Intelligence that translates into a positive marketing message that works all the time. Cluster Analysis is a multivariate technique that organizes variables into relatively homogeneous groups, or "clusters". This type of analysis (also called segmentation analysis or taxonomy analysis) is a technique used to identify groups or clusters with a similarity of characteristics in a given population. Simply put, it structures and classifies data into groups or clusters. The clusters formed should be highly internally homogenous and highly externally heterogeneous. The clustering techniques attempts to minimize internal variation while maximizing variation between groups. Clustering methods may be top down and employ logical division, or bottom up and undertake aggregation. Aggregation procedures which are based upon combining cases through assessment of similarities are the most common procedures used. Hierarchical clustering is used on smaller samples to determine similarities or distance. The number of clusters required depends on the research objective and may increase or decrease based on the closeness or similarity of the distance between cases. Typically, after this technique is used the researcher the entire data set is analyzed using K-means. K- means clustering uses Euclidean distance and the desired number of cluster (K) is determined in advance. After the distances are randomly chosen observations are made on based on nearest distance to the mean. The intention is to minimize variance within clusters and maximize variability between clusters. The process continues till a limit is reached. The two key steps within cluster analysis are the measurement of distances between objects and to group the objects based upon the resultant distances (linkages). The distances may be measured in a variety of ways, such as Euclidean and Manhatan metric distance. Linkages are based upon how the association between groups is measured. Simple linkage or nearest neighbor distance, measures the distance to the nearest object in a group while furthest neighbor linkage or complete linkage, measures the distance between furthest objects. Centroid linkage has a new value, representing the group centroid, which is compared to the ungrouped point to weigh inclusion. Ward's method is variance based with the groups variance assessed to enable clustering. Ward's is a popular default linkage which produces compact groups of well distributed size. Standardization of variables is undertaken to minimize the bias in weighting which may result from the use of differing measurement scales and ranges. Z score format is used to balance the differences between values and reduces the standard deviation when variables have multivariate normality. Multicollinearity will bias the clusters due to the high correlations between variables. The main outcome of a cluster analysis is a dendrogram, which is also called a tree diagram.